Here's a straightforward one. Get exposure, streams and followers for your song or track on Spotify, by adding it to an underground premium playlist (US based) 10k followers – and growing fast! 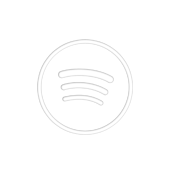 Your track will stay on for one month and get streamed all the time, meaning 3,000-5,000 plays during the Spotify promotion period. With this pack, you get Spotify exposure, streams and new followers, all in one simple, easy to manage package. Our listeners come from all over the world.